Each year, many of our talented Economics students are selected to receive honors and awards from Indiana University and the College of Arts and Sciences. We congratulate our students for these impressive achievements. 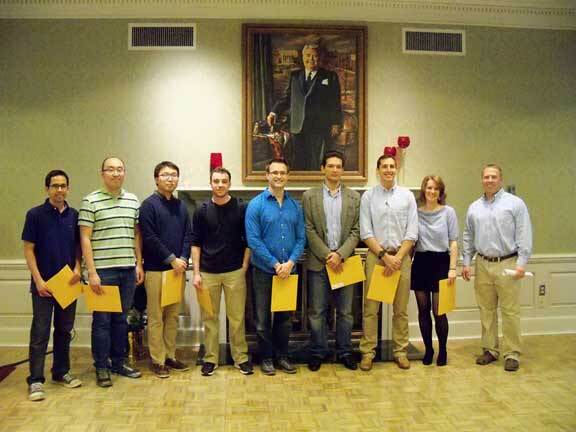 Todd Walker, director of graduate studies, (far right) with our graduate student award winners at the annual department Awards Reception in April 2017.